Lightfoot; MacColl. Very Good. In very good packaging. 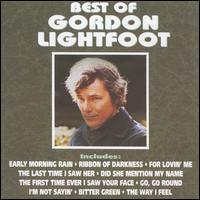 Gordon Lightfoot-The Best Of Gordon Lightfoot by Gordon Lightfoot. Very good. Well kept copy, complete, has only light use/age wear. We take great pride in accurately describing the condition of our books and media, ship within 48 hours, and offer a 100% money back guarantee.